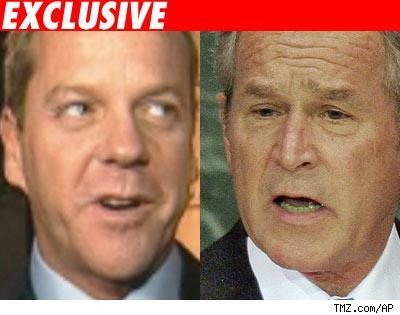 So how did Kiefer Sutherland's DUI back in 2004 go unnoticed? It was quite the bust, with Kiefer blowing a .22 blood alcohol level, nearly three times the legal limit. So how is it that TMZ didn't find the case until today? Two words -- Blair Berk. Mega-lawyer Berk, who has repped Mel Gibson and scores of other celebs, strateger-ily chose to slide into court on November 2, 2004. Kiefer plead no contest and was sentenced to 5 years probation. So what makes November 2, 2004 so important? It was the Presidential election! While the media was bitching about Bush, Berk snuck Jack Bauer's case in front of a Sauer judge (as in Michael Sauer, Hiltie's sentencer).